When an Australian bowerbird wants to attract a mate, it surrounds itself with eye-catching, often glinting things like shells, feathers and scarps of metals. Humans, of course, have a similar mating ritual: adorning bling. 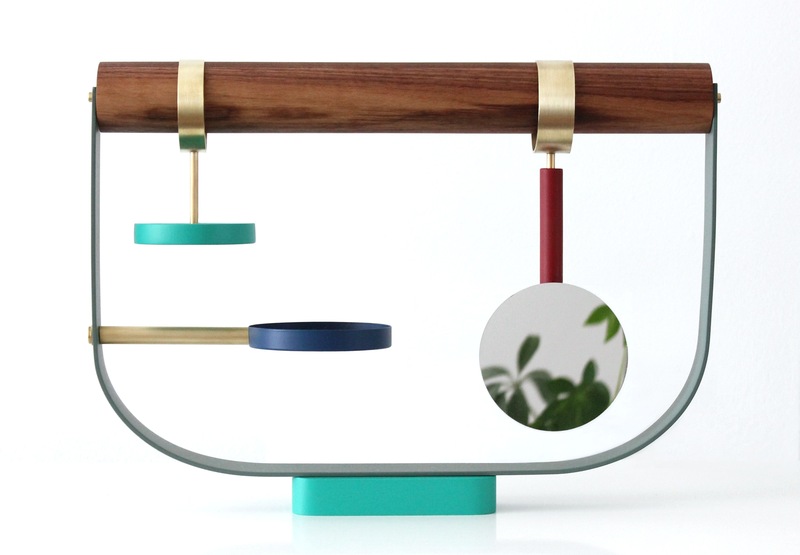 Which is why Montreal-based designer Zoë Mowat, after reading about the birds in National Geographic, was inspired to create her Arbor jewellery stand. Fittingly, the piece is replete with clever yet subtle aviary references. The shallow dishes for rings and earrings could just as easily be perches or feeders for plumed creatures. And when the sleek, hand-lathed walnut bar is hung with bangles, bracelets and amulets, it starts to look like a branch covered in simmering, sparkly leaves. Arbor Jewelley Stand. Price upon request. Through zoemowat.com. This piece originally appeared in the Globe and Mail on Thursday, July 4, 2013. This entry was posted in Design Spy and tagged Canadian Design, Design, Jewellery, The Globe and Mail, Zoe Mowat by mmhague. Bookmark the permalink.